It was all yellow. 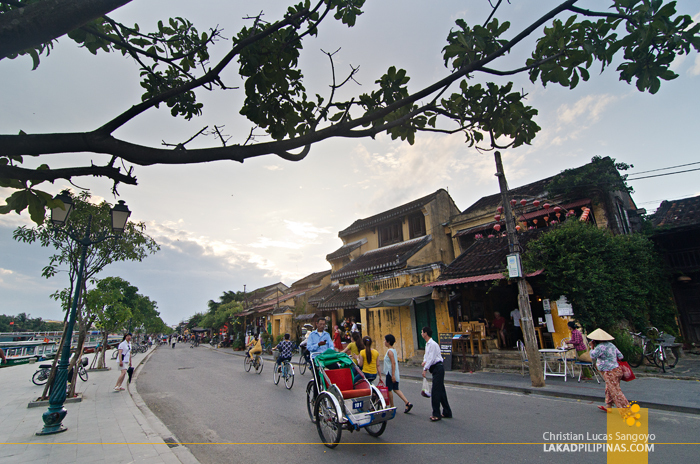 It was early morning (too early for us, in fact) when we revisited Hoi An’s Ancient Town. The area was devoid of people, the shops lining its narrow streets, still closed. 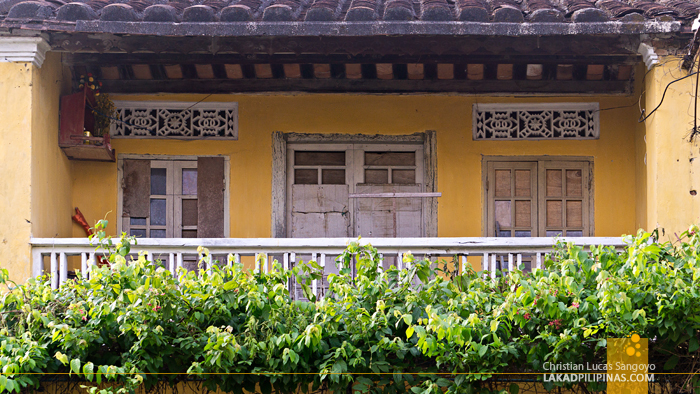 We were left wandering alone along its silent colonial houses, each one of them painted in wonderful bright yellows. 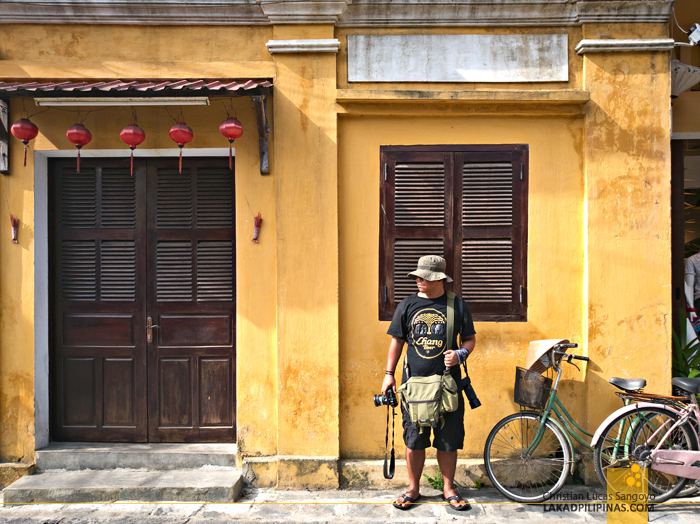 Our first visit to Old Town Hoi An was less than twenty four hours ago. And we hated it. 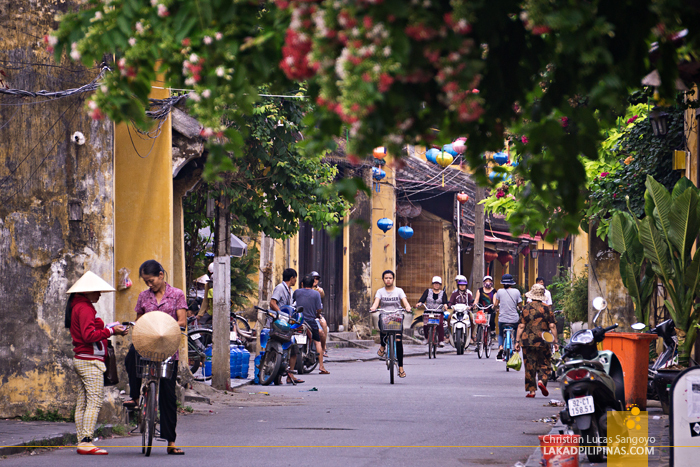 Walking all the way from Kiman Hotel, located on the outskirts of the old district, passing food stalls hawking cao lao noodles and numerous tailor shops—apparently Hoi An is the go to place if you want something tailor made, that goes for both shoes and snazzy dresses—we arrived at what seemed to be a checkpoint for tourist along one of its sidestreets. We were stopped, was asked to purchase a ticket for VND120,000.00 (USD5.30 | PHP270.00) each, and then was let go. 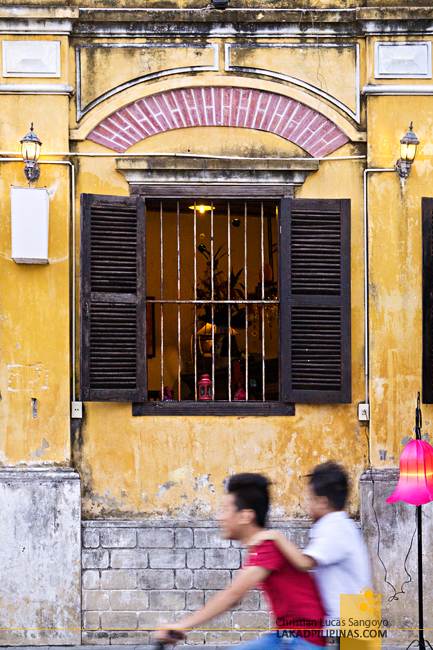 We didn’t do much research when we visited Hoi An, and we didn’t know that we just got ripped off. Well, sort of. 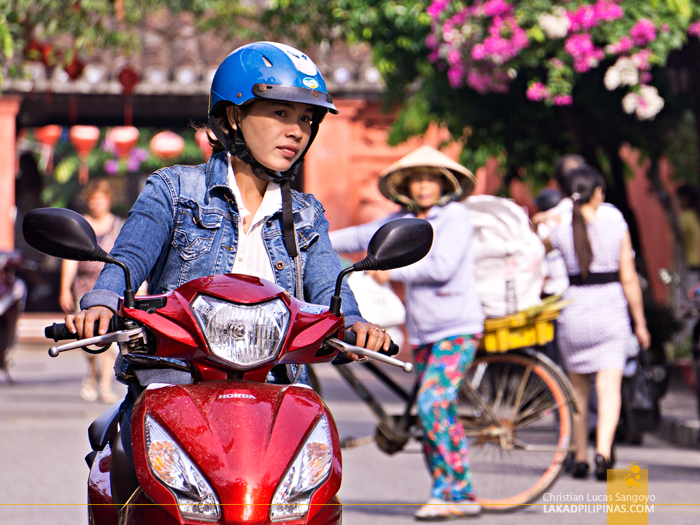 It turns out that tourists actually didn’t have to purchase any tickets to enter the old town. 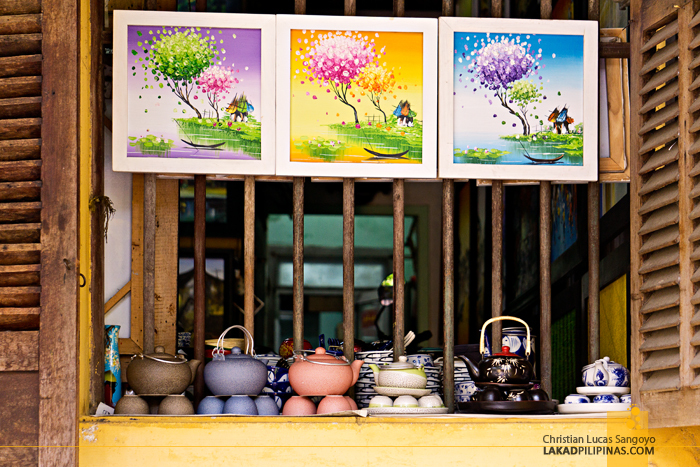 The ticket was for the multitudes of Hoi An museums along the district. It has five stubs that we could use to enter any of these, plus old houses, handicraft workshops, theaters, and temples of our choice. It was well and good, if only we really wanted to enter those. But we didn’t. 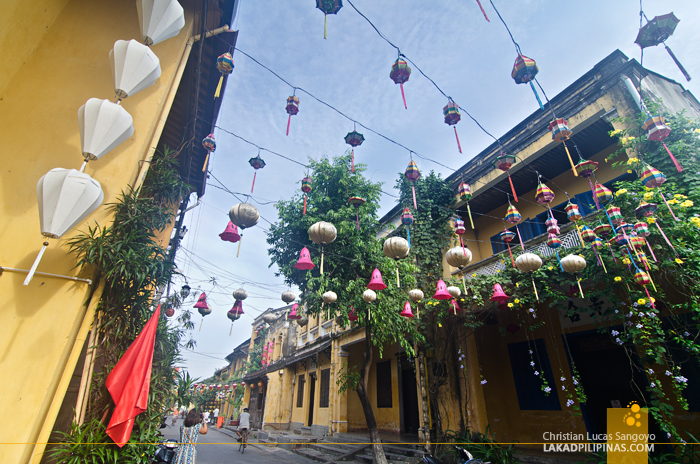 So, feeling cheated, we walked our first few minutes along the colonial streets of Hoi An with heavy hearts. 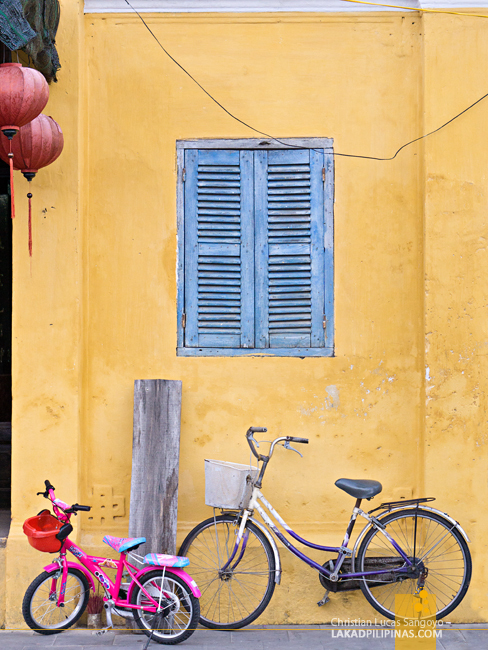 To be absolutely fair, Hoi An’s Ancient Town is a beauty even with what happened, and even with the throngs of tourists, bicycles, motorbikes, and rickshaws, blocking your every move. Hoi An started out as a trading port under the Cham Kingdom during the 16th and 17th century (we visited one of the remnants of this particular kingdom at Mui Ne’s Cham Towers). Its original name was Fai-Fo and it was the kingdom’s commercial capital—trading spice and ceramics between its people, Indonesia and neighboring countries. With its prominence, it attracted people all over; China, India, Japan, and even Portugal and The Netherlands. And you can see this influence all over the Old Town. 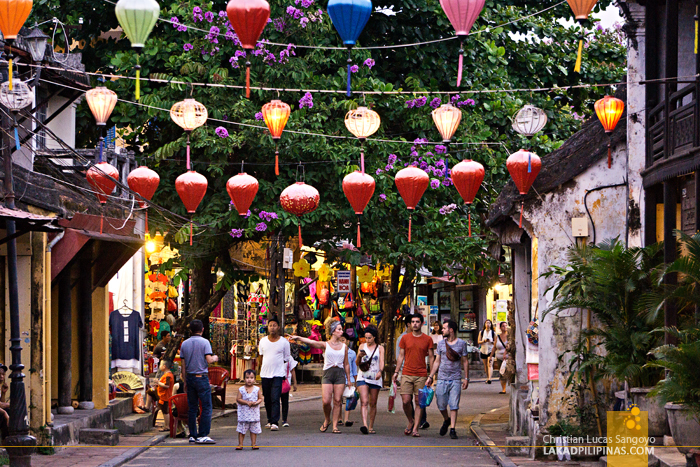 It was, as the UNESCO World Heritage Site declared in 1999, a fine example of a South-East Asian trading port dating from the 15th to the 19th century. 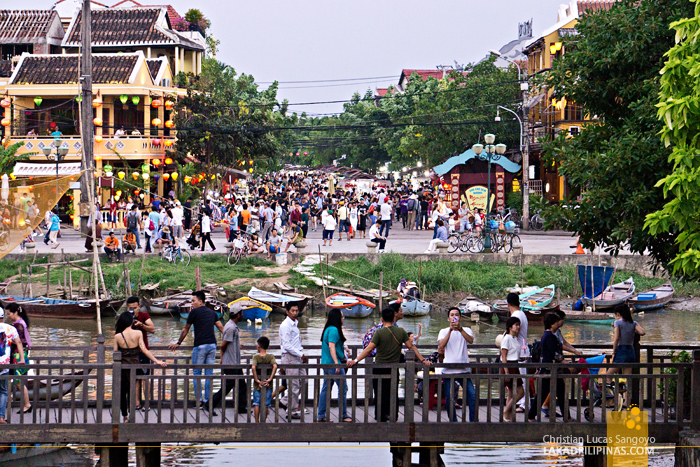 And this World Heritage Site, one of the seven in Vietnam, is absolutely crowded; as crowded as it probably got on Friday night payday during its heyday as a trading port. Most of the structures along the Ancient Town is very much preserved, reminding me somewhat of the Philippine’s Vigan City and Laos’ Luang Prabang. But it was much more the latter than the former. 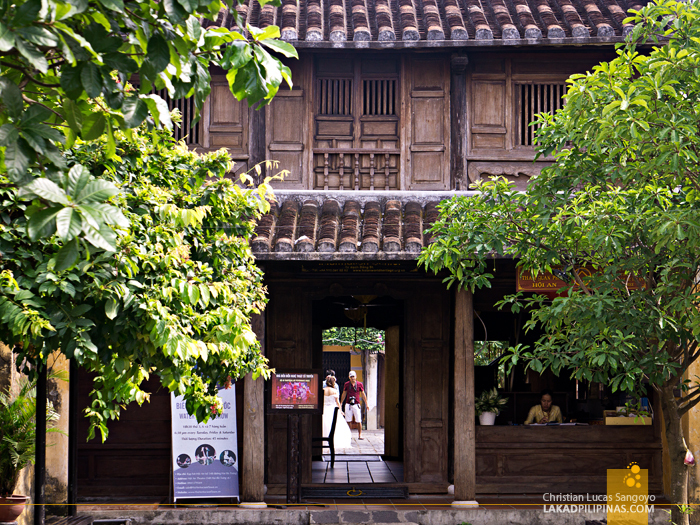 Like Luang Prabang, most of the structures at Hoi An has now been converted into shops, guesthouses, and museums. It was like one huge mall catering to the tourist crowd, only it’s not air-conditioned and the shops are all made of legit colonial houses. It all felt quite fake and contrived. Walking without any plans, we found ourselves at the market area. 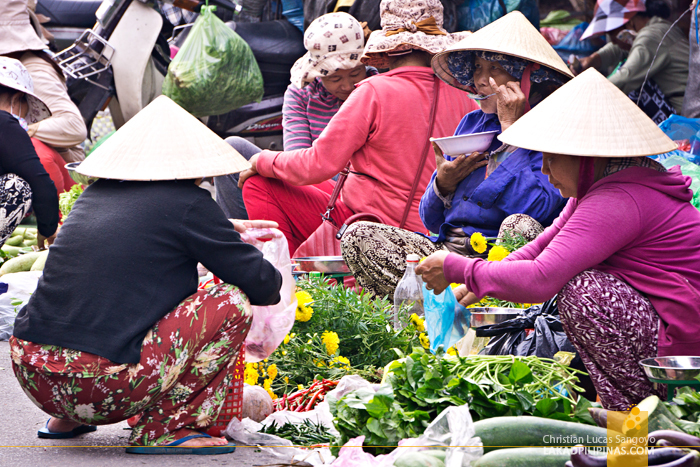 Here, at least, a semblance of normal Vietnamese life pervades; stalls upon stalls of fresh vegetables and seafood manned by non la-wearing old dames, and motorbikes zooming to and from the chaotic narrow road. 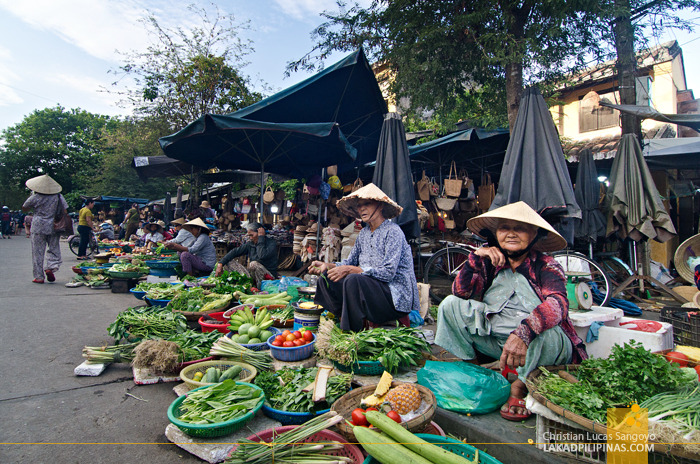 Deciding on an early dinner, we roamed the insides of a market. 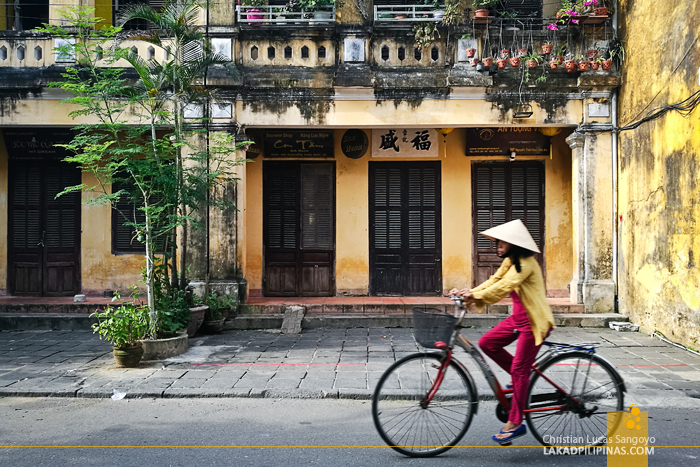 We knew exactly what to eat in Hoi An; a bowl of cao lao—the town’s signature dish, a banh mi that Anthony Bourdain raved over, a shrimp dumpling they call banh bao vac, and hoanh thanh—a kind of Chinese wonton dumplings served in soups or sometimes, fried. We ended up with none of those, instead we went for mi quang noodles and my favorite nem ran fried spring rolls. 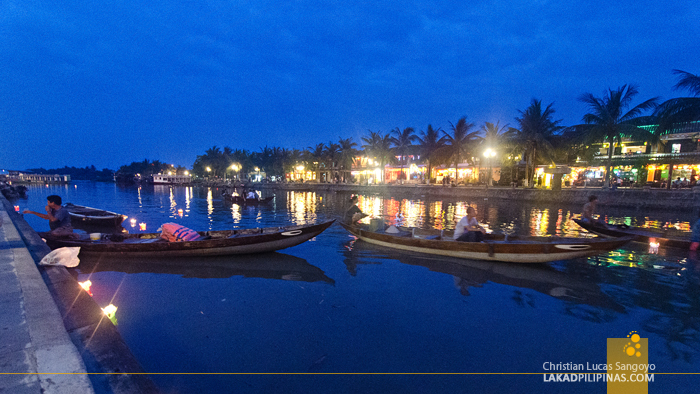 The sky was still light when we emerged along the banks of the Thu Bon River after our meal. 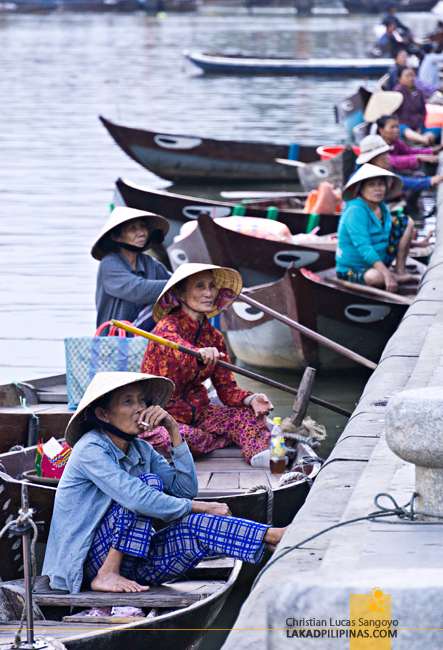 We watched as wooden boats bearing colorful painted eyes on its prow divide the waters of the river until eventually we came upon rows upon rows of canoes manned by elderly ladies. 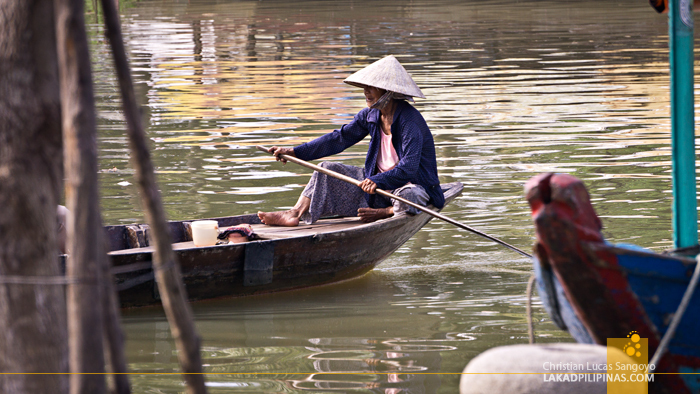 Apparently, they’re offering rides along the silted river to tourists. The illusion was again, broken. Twilight came with us sitting on the river’s elevated concrete bank. Lights illuminated the interiors of the yellow houses, paper lamps flickered on, floating above the even more packed arteries of the town. 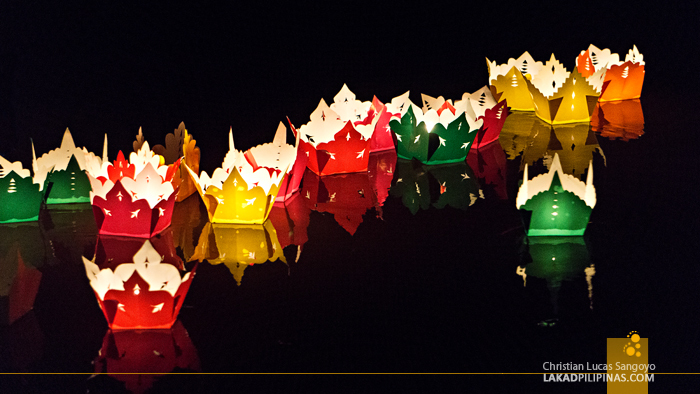 And along the river, floating paper lanterns bobbed across the surface—wishes from tourists aboard the canoes. 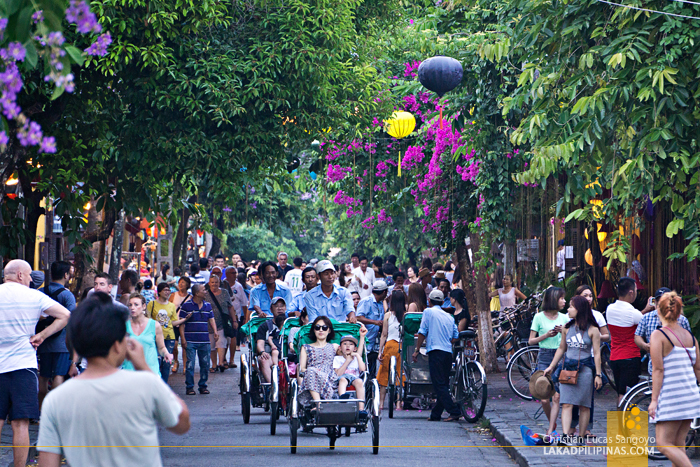 Somehow, even with all the chaos, Hoi An glowed magically. 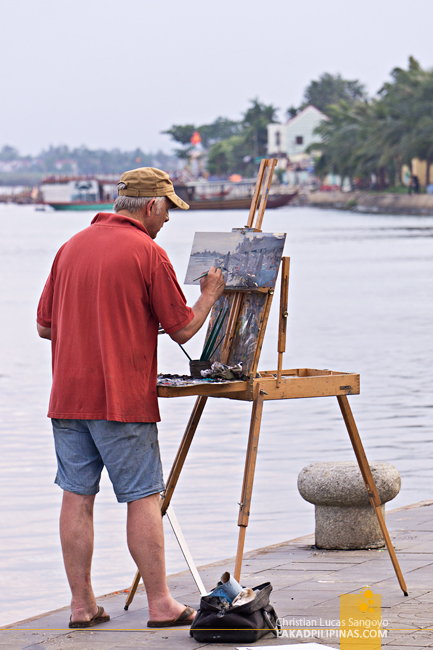 With cans of semi-cold Larue Beers along the river, we watched the town magically transform. Early the next day, we decided to give Hoi An another chance. Without any breakfast, we proceeded to the Old Town on bikes and found it to be totally different from the previous day. 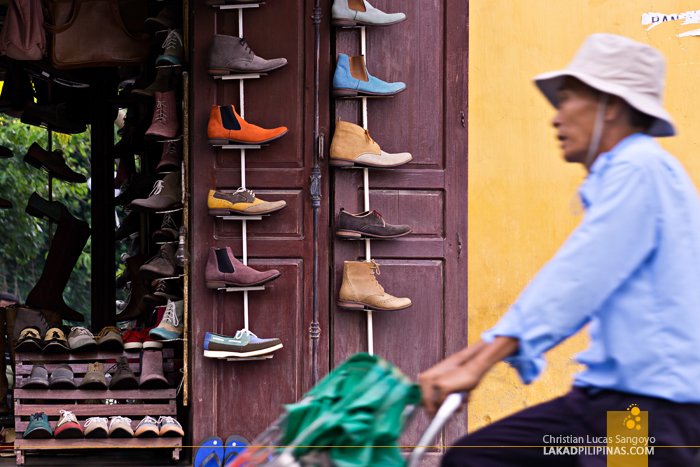 Gone are the shops hawking all sorts of souvenirs. Gone are the tourists. Gone are the rickshaws. It was a totally different place. And we absolutely loved it. 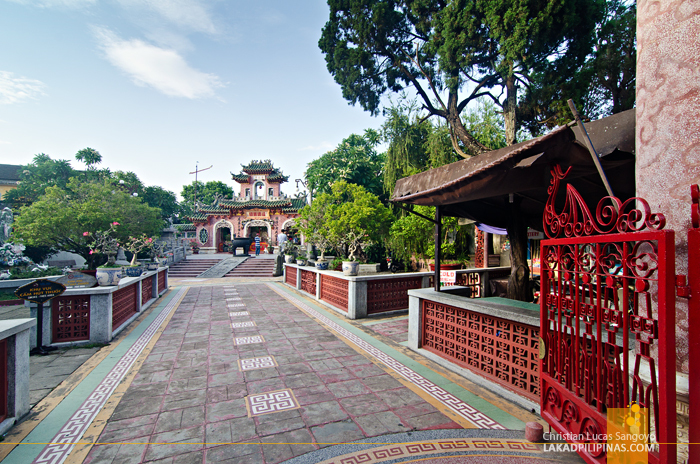 It was quiet, like Macau’s Red Street was quiet when we visited. 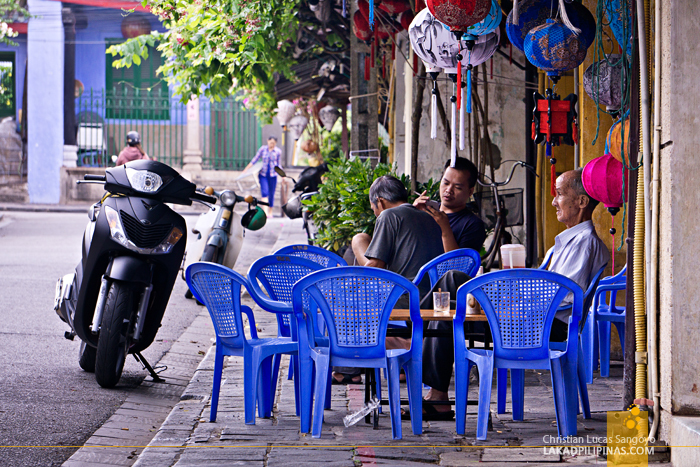 There were a few locals going about their businesses on bikes and conical straw huts, a few tables right along the sidewalk with uncles having glasses of hot yellow tea, and a few stalls selling noodles and bahn mi. But that was about it. It was just us and the yellow walls of the town. We walked slowly, savoring the details of each house. Feeling its texture. Revelling on the explosions of its bouganvillas. Exploring every narrow alley we could squeeze ourselves in. Eventually, we rounded back to the market. It was as busy as the day before. But good busy. 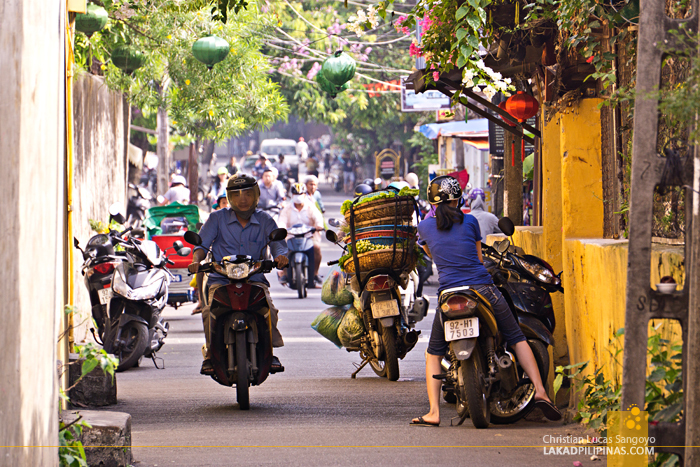 Locals around town were all picking something from each stall, from basket of cabbages to a tieful of crabs, aboard their bicycles and motorbikes. I could’ve spent an hour watching this scene without getting bored. Non la hats, abound. Taking the same route we did previously, the town felt vastly different. It was far lovelier sans the crowd. 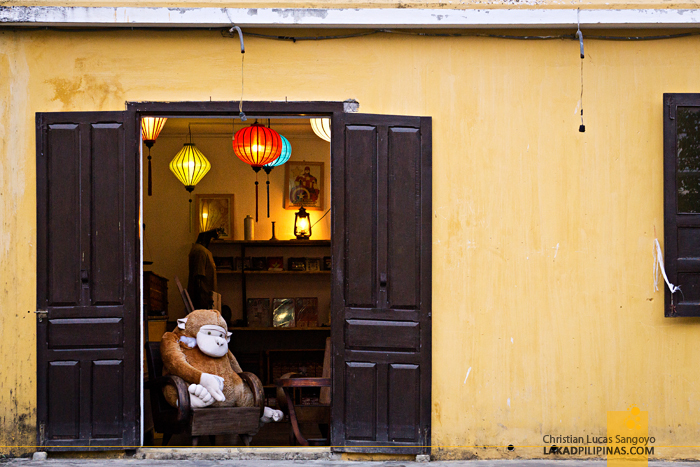 More Hoi An. And as if we ourselves had laid a water lantern along the Thu Bon River and asked for a wish the night before, it was how we wished Hoi An to be. I'm wondering what happened on your 2nd day. Maybe it was Holiday? 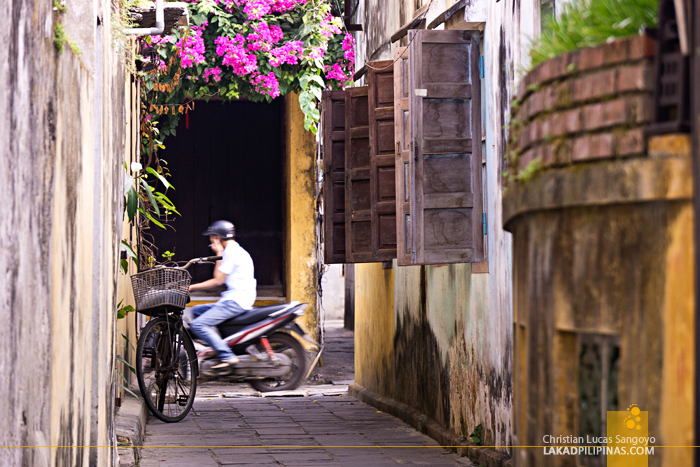 Anyway, Hoi An is one of must-see places in Vietnam. 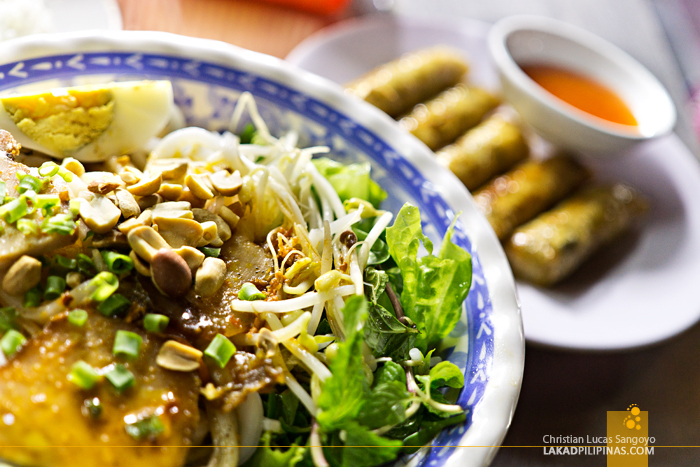 It has an old charm that any traveller would want to experience. Gawd, these photos are so beautiful! Ganda. Balak ko dito mg New Year. Lodi sa mga pictures. Nice! 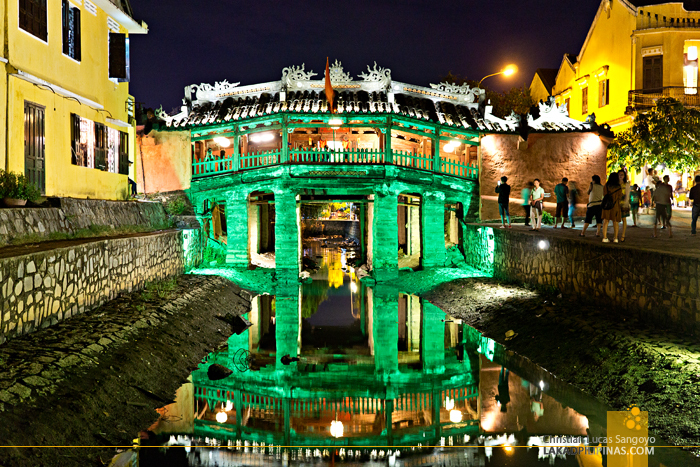 Hoi An seems like a really nice place to spend the New Year's Eve!